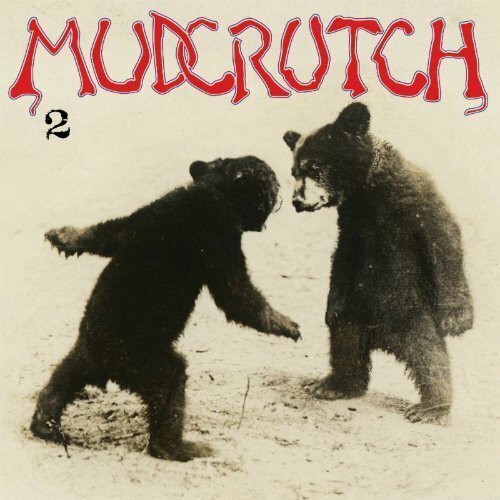 Mudcrutch — the band that eventually morphed into Tom Petty and the Heartbreakers in the '70s — have released their second LP, appropriately titled 2, via Warner Bros. Records. The LP features 11 tracks covering just over 43 minutes. This marks the first release from the band since their debut album and accompanying live EP in 2008. Band members on < em> include Tom Petty (bass/vocals), Tom Leadon (guitar/vocals), Benmont Tench (keyboards/vocals), Mike Campbell (guitar/vocals), and Randall Marsh (drums/vocals). Mudcrutch first formed as a side-project band in 1970 and released one single, "Depot Street." Tom Petty would go on to form The Heartbreakers with Mike Campbell and Benmont Tench in 1976, and the rest is history. 2 is a versatile album that highlights the band's ability to explore various genres within their songs, and yet maintain their unique identity. "Beautiful World," "Save Your Water," and "Dreams of Flying" demonstrate that the boys can write radio friendly rock tunes with an upbeat energy and sing-along verses. "Welcome To Hell" leans on rockabilly tendencies, while "Victim Of Circumstance" pulses with an energized blues rock rhythm. Mudcrutch expertly sew psychedelia and rock together in the foot-stomping track "Hope" and the mellow "Beautiful Blue." "Other Side Of The Mountain" is a folky rock number that incorporates banjo, and the intimate closeness of the acoustic "I Forgive It All" will draw you in with its honest lyrics. The album's tracks flow together in a way that doesn't allow the album to sound "stale," but rather fresh, since every track is unique from each other. All the instruments sound great, from searing guitar licks and acoustic fingerpicking to the keyboards and drums. 2 is a more roots-oriented approach than the Tom Petty albums and songs that fans know and love, but it should still satisfy aficionados' appetite for classic rock from the heart. Songs we like are "Dreams Of Flying," "Beautiful Blue," "Beautiful World," "I Forgive It All," "Hope," and "Victim Of Circumstance." Pick up 2 on Amazon. You can also stream the full album above, via Spotify. For the latest music, news, and tour dates from Mudcrutch, check out their Zumic artist page.